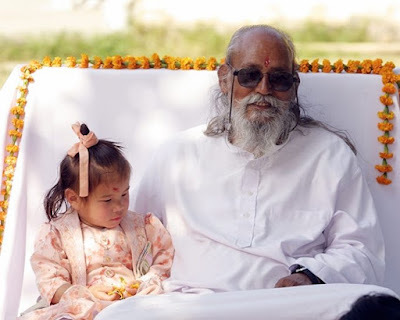 The great Baba Hari Dass has passed on from this incarnation. Hari Dass was a beloved friend and ally of the legendary American sages Joe and Guin Miller. Through the Millers, I had the blessing of two one-on-one encounters with this powerful being. In the mid-1980s, Joe sent me down to Mount Madonna to ask Baba Hari Dass a question. Over a decade earlier, Joe had come across the term "Sphurana" in S.S. Cohen's Reflections on the Talks of Sri Ramana Maharshi. He felt it explained his experience with the gentle in-drawn breath into the heart -- in a way he hadn't come across anywhere else. So, in 1971, he wrote to Cohen, who was living at Ramana Ahsram, and shared what he felt the term meant. In response, Cohen wrote, "Sphurana only interests those who are very near the end of their spiritual journey. But to describe the Sphurana correctly, as you do, is the end itself." (See Great Song: Life and Teachings of Joe Miller, p. 19) Late one night sitting in the Miller's living room, Joe and I discussed that same passage from Reflections. It provided technical context of certain experiences I was having. Some weeks later, seemingly out of the blue, Joe said, "Go down and see old man Hari Dass, and tell him I said to ask him about Sphurana." So I drove down to Mount Madonna and Hari Dass graciously received me. "Joe said I should ask you what 'Sphurana' is?" On his chalk board, Hari Dass wrote, "You tell me." I described my experience, I shared what the term meant to me. Nodding enthusiastically, Hari Dass made a little sound several times in rapid succession, it wasn't a word, he didn't say anything, it was less than a syllable, it was just a sound made with his tongue, his teeth and his breath, but it might as well have been "yes, yes, yes." Looking back, I realize Joe had sent me because he wanted me to feel the same kind of validation that he had gotten from S.S. Cohen. In the late 1980s, while I was writing "Great Song: Life and Teachings of Joe Miller," I contacted Hari Dass and asked to interview him for the project. Soon, I was sitting once again in his deep, beautiful presence. "I just have one question for you, why does Joe Miller say he isn't a teacher?" On his chalk board, Baba wrote, “In life, we have many teachers. [Then he wiped it clean, and wrote again.] Our parents are teachers. In school, we have teachers. [Then he wiped it clean, and wrote again.] Life itself is a teacher. [Then he wiped it clean, and wrote again.] From time to time, there are record-breakers, Joe was a record-breaker.” (See Wyrds of Power: New Language for A New Reality, p. 241) Baba was affirming that Joe was doing something remarkable, something outside the box. Two encounters, two big questions, two profound answers. But there is something else, something beyond description really, during each of the two encounters, after each of the two questions were answered, he laid down his chalk board, straightened his spine, placed his palms on his knees, and took a breath, and in doing so, he communicated the ineffable nature of samadhi, palpably; it was emanating from his countenance, from how he held himself, from his presence, through the silence itself. For a few moments, the air rippled, the veils fell away. Vast, vast, vast. At our Friday Night Lodge Meeting on 9/28/18, we held an impromptu memorial for this great being. We shared stories. We viewed two wonderful digital artifacts on You Tube, first, What is Guru, a marvelous thirteen-minute slide show of photos from Hari Dass' life and work (with a beautiful soundtrack courtesy of Snatam Kaur Khalsa), and then Hari Dass Baba Doing Rare Mudra, a seven-minute video featuring Hari Das doing a powerful, flowing demonstration of sacred hand gestures. And of course, in our closing circle, we sang "Never the Spirit is Born."